Va-va-va-vroom! 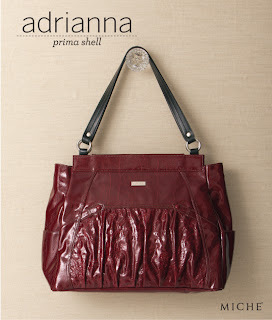 All systems are GO with the high-octane color, glossy finish and modern styling of the Miche Bag Adrianna Shell for Prima Bags. You will absolutely fall in love with this Shell's dual-textured printed faux leather, matching rivets and rocket-powered deep red color. Roomy side pockets and subtle faux belt front detailing give Adrianna even more sizzle!